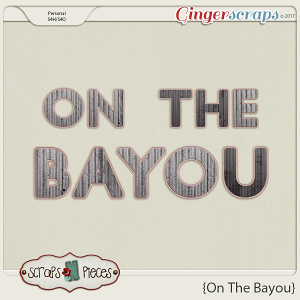 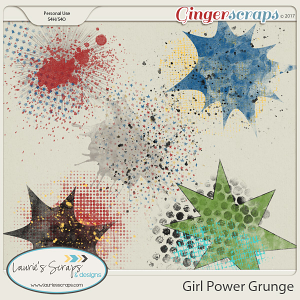 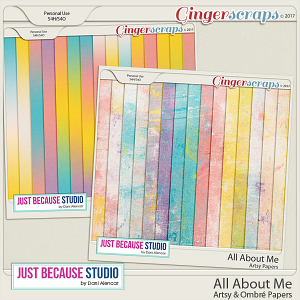 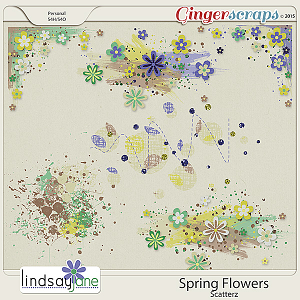 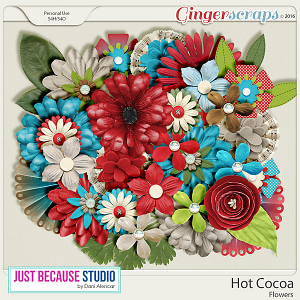 A digital scrapbooking special paper pack by Meagan's Creations. 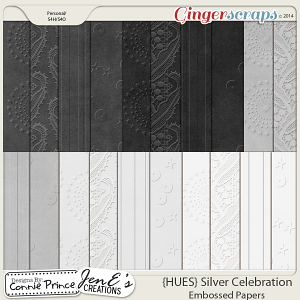 12 embossed papers perfect to add that special touch to your pages without making them busy. 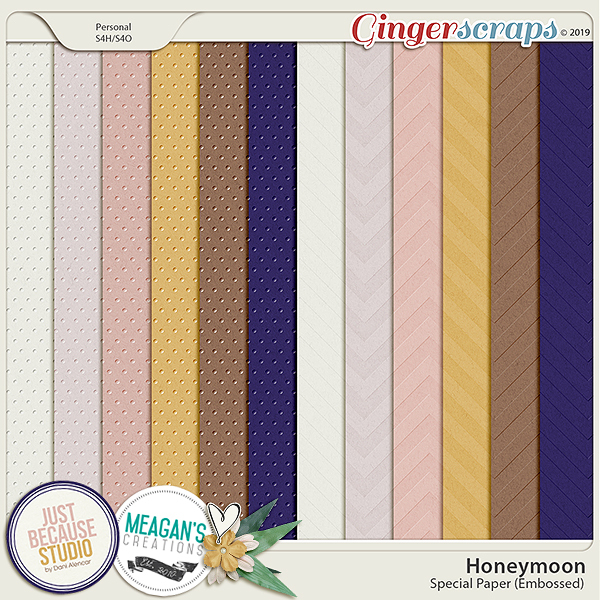 Designed as part of Honeymoon Collab Collection.